Just in time for the holiday season, the Galaxy Tab A will be available in select markets across the world. The 8-inch tablet will be sold in three color options: Black, Silver and Gold. Featuring a refined look and feel with a sleek, metal body and smooth rounded edges making it comfortable to hold. Samsung’s latest addition to the Galaxy tablet portfolio is an everyday, versatile Android-based tablet designed for the entire family. 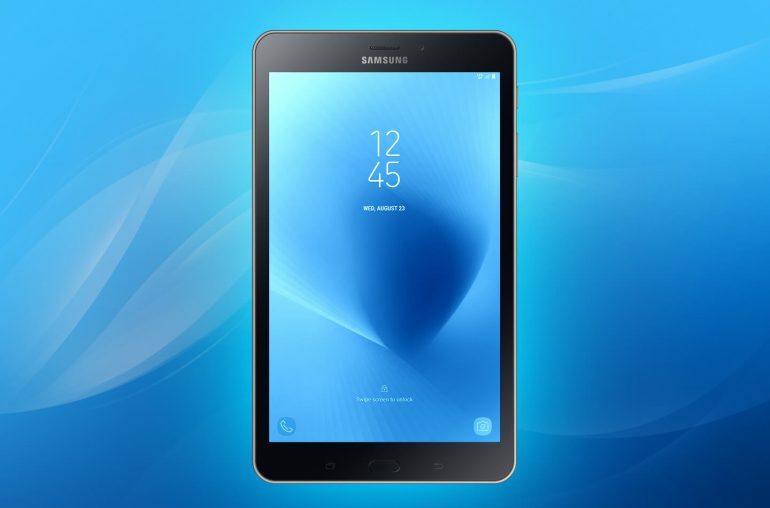 Samsung Galaxy Tab A offers a powerful battery, an 8-inch display that looks good in any light and increased onboard memory with expandable storage. At Samsung, we continue to work towards meaningful innovation that delights our customers and meet their unique needs. The Galaxy Tab A is designed for both parents and kids. 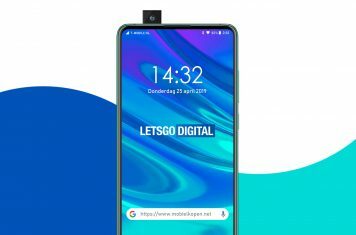 It’s the tablet that’s just as easy to take on the go or curl up with on the couch, with long-lasting battery life to get the entire family through the day, said Sangsuk Roh, Vice President of Tablet Product Division at Samsung Mobile Electronics. 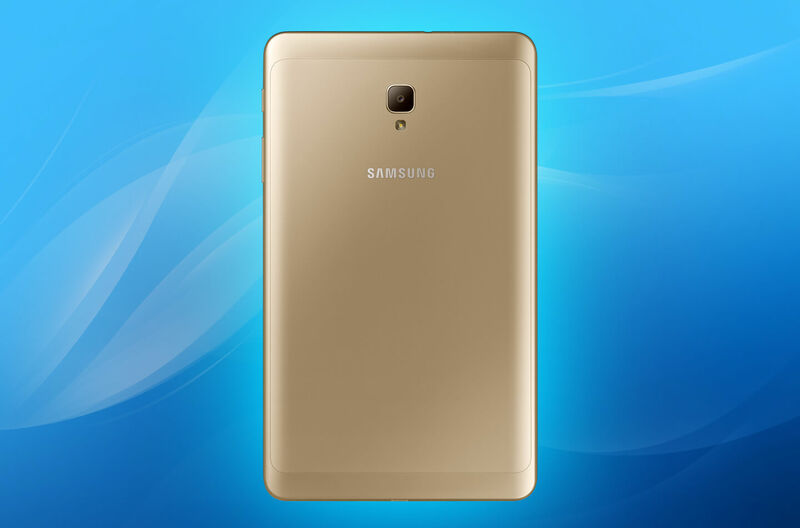 To improve everyday usability and performance, the 8-inch Samsung Galaxy Tab A is equipped with a bright display for watching your favorite TV shows, playing games or browsing the internet on a screen that looks good even under bright sunlight. The new tablet also has an optional blue light filter to balance the brightness and reduce eye strain, making it easier to view content at night and in dim lighting settings. Daily family life can get hectic, so the Galaxy Tab A strives to add convenience with the new Home Mode, which can be configured to show up to three displays, providing a quick glance at information like the time, calendar, weather or photos even while the device is charging. Each family member can have their own login with ‘Multi User’ mode to securely save their favorite settings and apps. With ‘Parental Control’, parents can set limits on usage and customize available content to create a fun and safe environment for younger users. Users can easily view their installed apps and content on personalized Bixby Home screens. A special ‘Kids Mode’ features exciting games, videos and content from partners, including 5000 videos and games from The LEGO Group as well as a social network themed LEGO Life app with exclusive sticker content. The Galaxy Tab A captures images even in low-light conditions with enhanced 5 megapixel F2.2 front and 8 megapixel F1.9 rear cameras, as well as a new flash for clearer and brighter pictures. Never miss another sharable moment with the Galaxy Tab A’s improved and intuitive camera interface, making it easier than ever to capture great photos from any angle and switch between camera and video recording modes. With 16GB of built-in storage and expandable memory (up to 256GB) for additional content storage, the Galaxy Tab A allows users to store more apps and content whether at-home or on-the-go. The 5000 mAh battery of the Galaxy Tab A lets users power through movies, games and more, all from a single charge that lasts up to 14 hours.